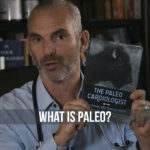 Hello, this is Dr. Jack Wolfson, The Paleo Cardiologist, of The Drs. Wolfson. I have a great topic for you today. 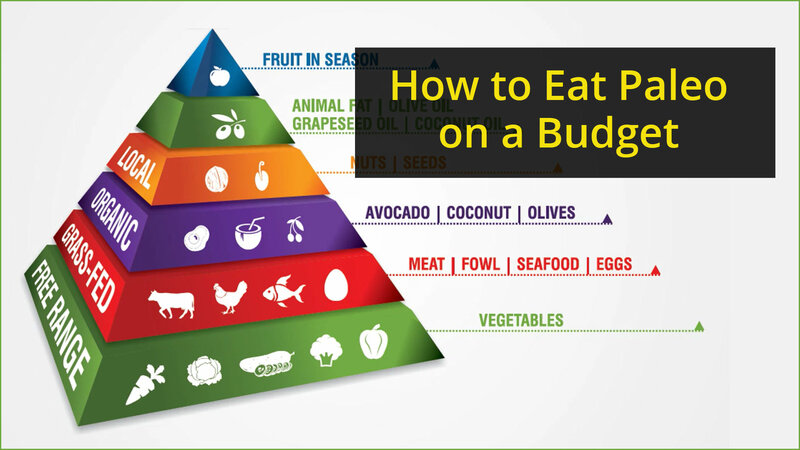 Let’s cover it in just a few minutes, and it’s a question so many people ask me and initially complain about but I love to explain it and love to point out how we can do “Paleo on a Budget.” We can talk about Paleo lifestyle and how we can do that on a budget but let’s talk about Paleo nutrition on a budget. 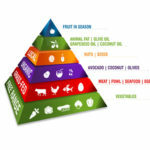 And here is our Paleo Pyramid, as we’ve talked about before. The foundation is vegetables and then after that it is up to you as long as it is on the pyramid. We eat our free range, grass-fed meats, preferably including organ meats, we do wild seafood, such as seafood, such as sardines, anchovies, wild salmon, shellfish. And then we do nuts, seeds, eggs, avocado, coconuts, olives, and fruit when it is in season. We do it all preferably local, but for sure, organic, plant-based foods and grass-fed meats, and wild seafood whenever possible. So, Paleo on a budget. Let’s get into it. Consider what you are spending your money on. Think about your life and what you have going on. A hundred years ago, we spent our money on food. Now we spend less than 10% of our income on food. We need to reverse that. We need to invest in ourselves and invest in our health. But what does that mean? Stop getting your hair done, stop getting your nails done. Don’t buy a new car. Don’t buy a new house. Don’t buy new clothes. Get a cheaper car. Get a cheaper house. Wear those clothes a little bit longer. Don’t tell me about the vacation you just went on. Don’t go on vacation. You have to learn to pay yourself first and foremost, that’s what really matters. Think about the things in the house that you can easily get rid of. You can get rid of air fresheners, plugins that freshen up the air. All these toxic chemicals that you are using. Laundry detergents, fabric softener, dryer sheets, there’s so many extras for people to spend their money on so get rid of it. Number two, this is a tough one, but skip the vices. Do not complain to me or to anyone else that you can’t afford Paleo when you are drinking all of those coffee and caffeine-based products for breakfast. You are wasting your money for a $5 or $6 coffee drink, or whatever it costs at one of those fast coffee shops. Stop doing it. You are supporting things that are endangering the environment, and you are endangering your health, and you are endangering your wallet. Get rid of it. Sugar-based products of course. Those droplets, or snacks or ice cream. Or whatever your food vice is. You don’t need it. 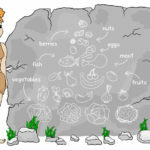 It’s not on the Paleo Pyramid. Stop spending money on it. And also, alcohol. Alcohol is very expensive. So many people that I see, they’re drinking 2-3 glasses of wine per night. I mean, what does that cost? Is that a $10 a day habit, is that a $15 a day habit, $20 a day? I mean that adds up to thousands of dollars per year that you are wasting on useless items. Foods to eat that kind of go a long way. They are calorie dense foods. Organ meats are super cheap, even when they are free range, grass-fed. 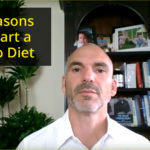 Most people don’t want to eat the liver, or the kidney or the thyroid or the adrenal. But, so nutrient dense. That’s why all animals go after another animal’s organs first, before they would ever consider eating muscle meat or scrap meats. Ground beef for example you can get for $7 a pound. That means you’re getting a $2 quarter pound burger. That on top of your organic salad is very easy to do. Seafood. A can of sardines, a can of wild salmon, a jar of anchovies. These are very calorie dense and go a long way. Avocados are more expensive but they’re also very high in fat, very high in nutrients. So are coconuts. So are olives. Those things that really tend to fill you up and give you a heavy nutrition boost. And finally, where you are going to shop. You are going to shop at Farmer’s Markets, community supported agriculture, CSAs, look for those. Look for your local coop, you can find places online, you can find great deals on Amazon. You can shop at Costco and find some organic things. Just be careful that you are getting the best of the best when you go shopping anywhere. 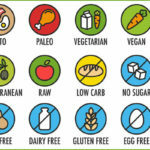 Thrive Market is another example of where you can find great deals. And I think when you buy in bulk, sometimes it makes it a lot more palatable. Sometimes you can share an animal with another person. You can each get a quarter cow. You get a big freezer to store all your food. So, there’s ways to do it. Get creative and get healthy. Until next time, I’m Dr. Jack Wolfson, The Paleo Cardiologist of The Drs. Wolfson. We earn a commission if you purchase the above from our link. That commission is helping us changed the world to a healthier place for our family and yours.